The court has given CBI four weeks to explain the delay in appealing against the order to drop conspiracy charges against Advani and others. The Supreme Court issued notices Tuesday to senior BJP leaders, including L K Advani, Uma Bharti, Kalyan Singh and Murli Manohar Joshi, and several others, asking why conspiracy charges against them should not be restored in the 1992 Babri Masjid demolition case. A bench led by Chief Justice H L Dattu asked the leaders to submit their responses within four weeks on why they should not be asked to stand trial for their alleged complicity in the demolition. They have also been given liberty to raise objections on the delay in seeking restoration of charges against them. Conspiracy charges were dropped by a trial court in 2001 and the order was upheld by the Allahabad High Court in 2010. The CBI appealed against the High Court order but only after nine months. Advani and others sought dismissal of the CBI petition, citing delay as reason. The notices were issued by the Supreme Court on a fresh petition filed by Haji Mehboob, one of the original petitioners in the title suit representing the Muslim community in the Babri Masjid-Ramjanmabhoomi land dispute case. During a brief hearing Tuesday, Additional Solicitor General Neeraj K Kaul told the bench that the CBI would require some more time to ready documents to show why the delay occurred. He asked for four more weeks. The bench granted the CBI additional time to file a detailed response. Senior advocate Kapil Sibal and advocate M R Shamshad appeared for Mehboob and requested the bench to let him intervene and argue as a party in the case independently. The bench admitted the petition and fixed the matter for a hearing after four weeks. As reported by The Indian Express, the court had agreed a day earlier to hear Mehboob’s petition which claimed that with the BJP in power, the CBI may not make adequate efforts to get conspiracy charges restored against the party leaders. Mehboob, 77, said his fears stemmed from the fact that Rajnath Singh, an accused in the case, was now Home Minister and his ministry had administrative control over CBI. Another accused, Kalyan Singh, was now Governor of Rajasthan, he said. Stating that his house was among the many burnt in the violence that followed the demolition, Mehboob said his petition ought to be heard on merits to ensure the matter was not botched up. “There are reliable reports. CBI may not seriously press the said petition in its true intent and spirit,” the petitioner said, adding “it is necessary that a public-spirited person takes up the issue to test the impugned judgment of Allahabad High Court in the judicial scrutiny before this court”. 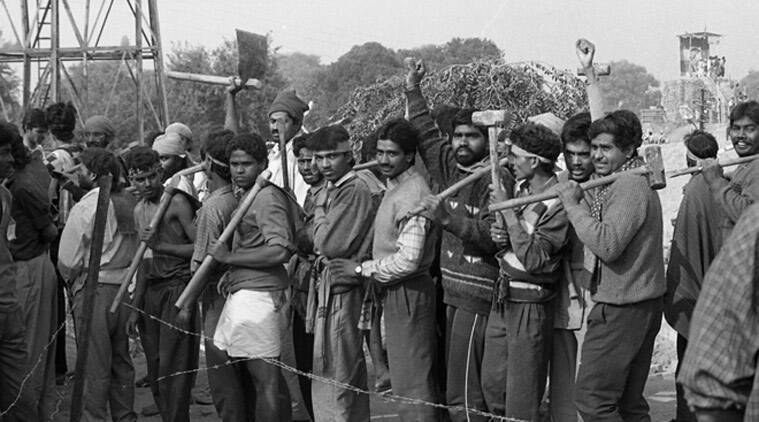 Two FIRs were lodged in the wake of the demolition of the Babri Masjid. One against the kar sevaks who allegedly demolished the mosque while the second named Advani, Joshi, Bharti, Vinay Katiyar, Ashok Singhal, Giriraj Kishore, Vishnu Hari Dalmiya, Sadhvi Rithambara and others for “making provocative speeches” to instigate the kar sevaks. Shiv Sena leader Bal Thackeray’s name was removed after his death. The CBI had claimed it was not possible to separate the accused in one FIR from those in the other, since the offences transposed from the first case to the second. It said all those named in the first FIR should be tried for conspiracy as well. But in 2001, a lower court dropped the conspiracy charge against the leaders on the ground that the case related only to the volunteers who razed the mosque. This order was upheld by the High Court.